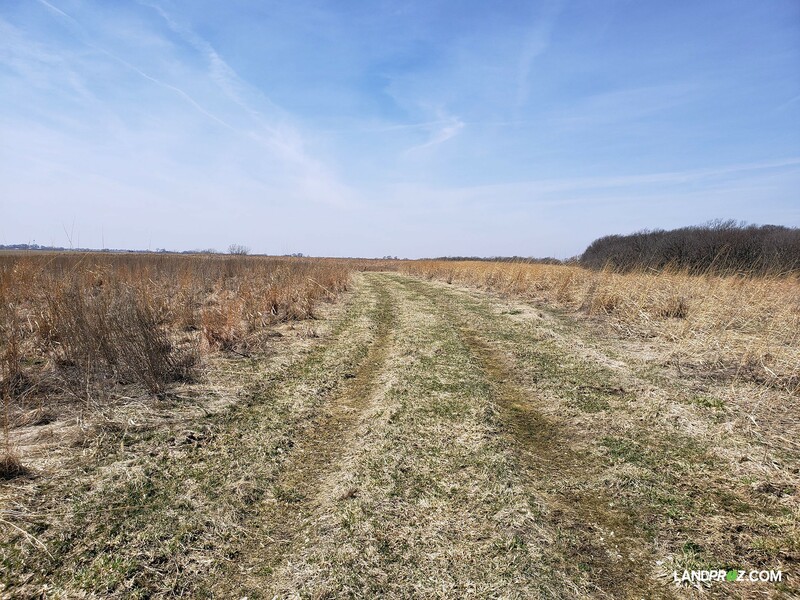 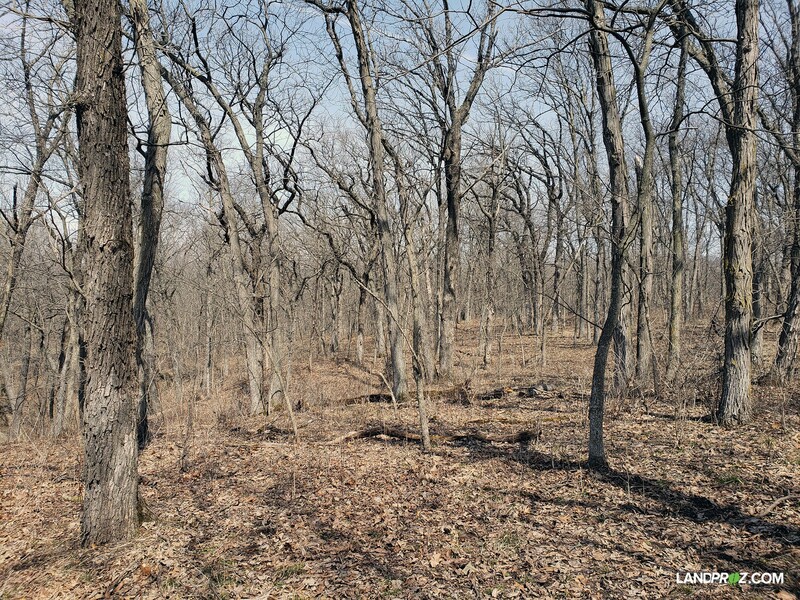 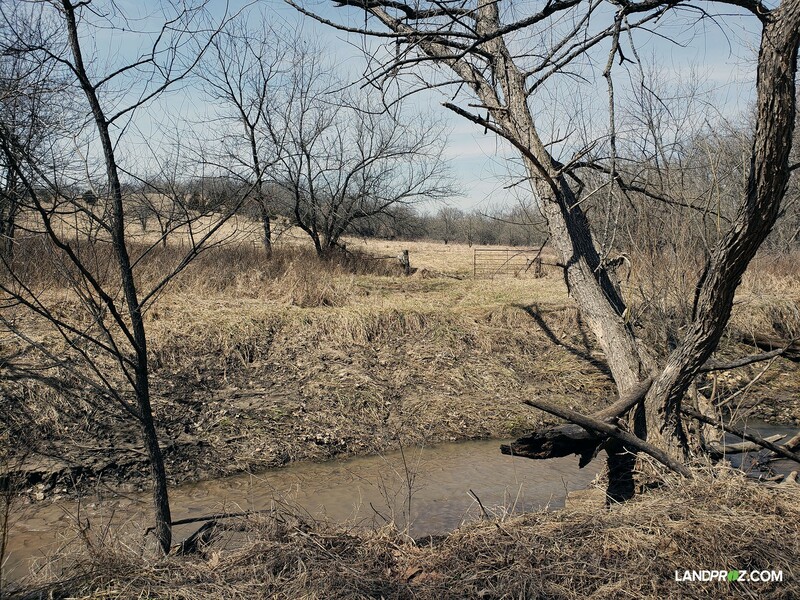 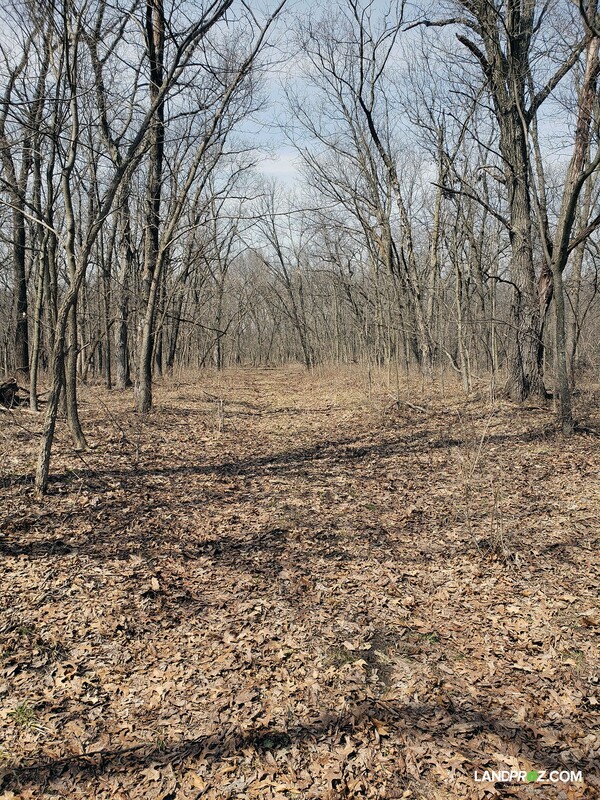 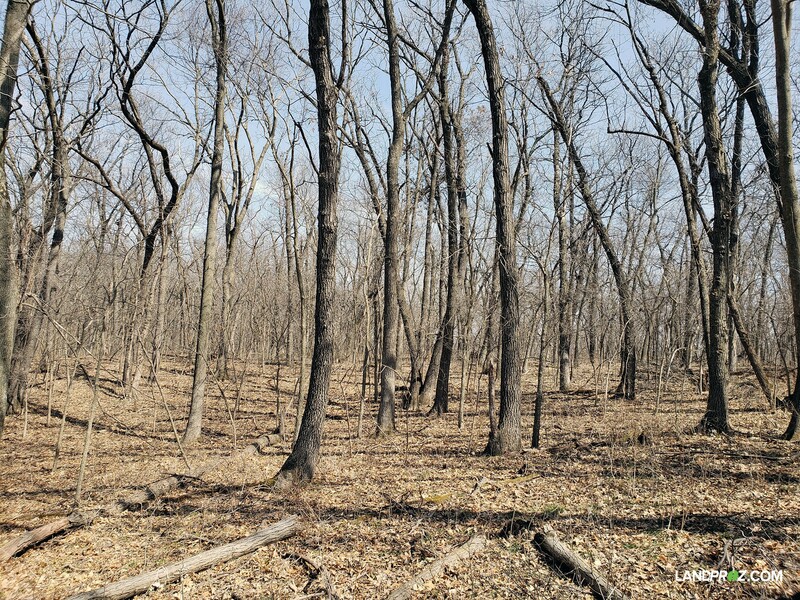 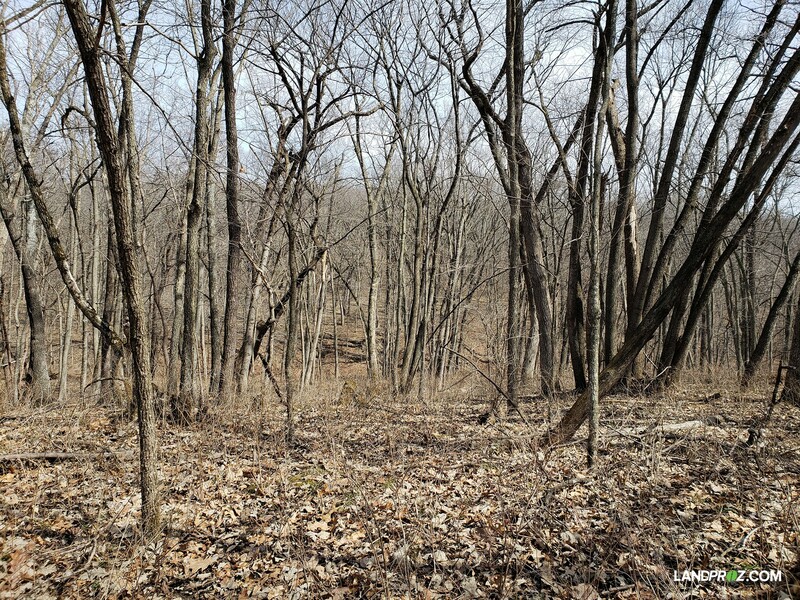 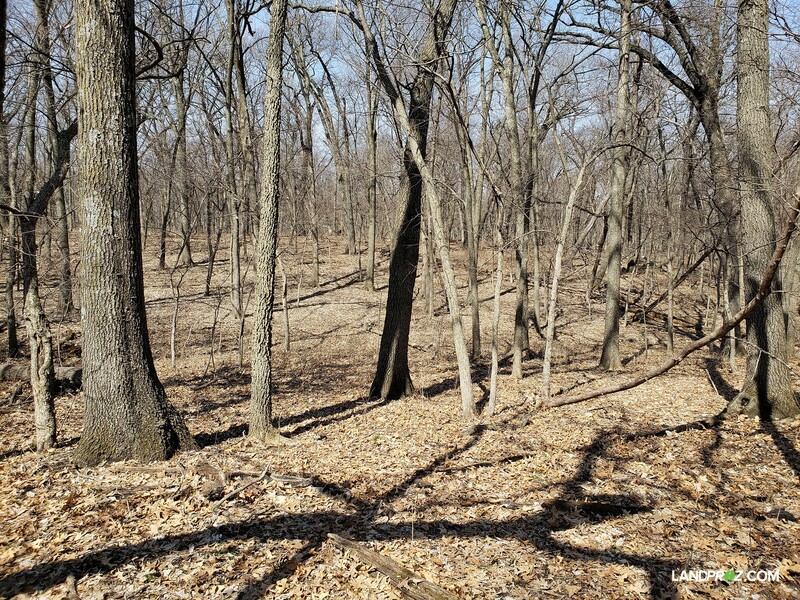 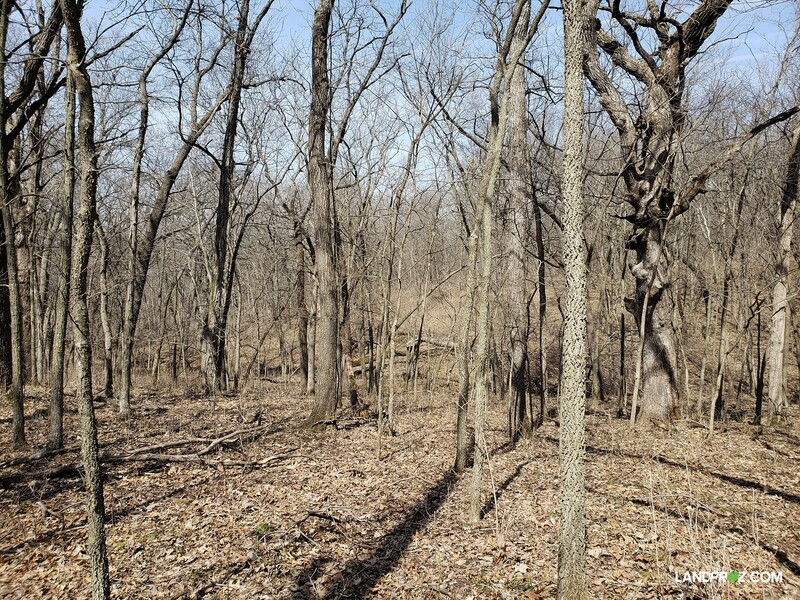 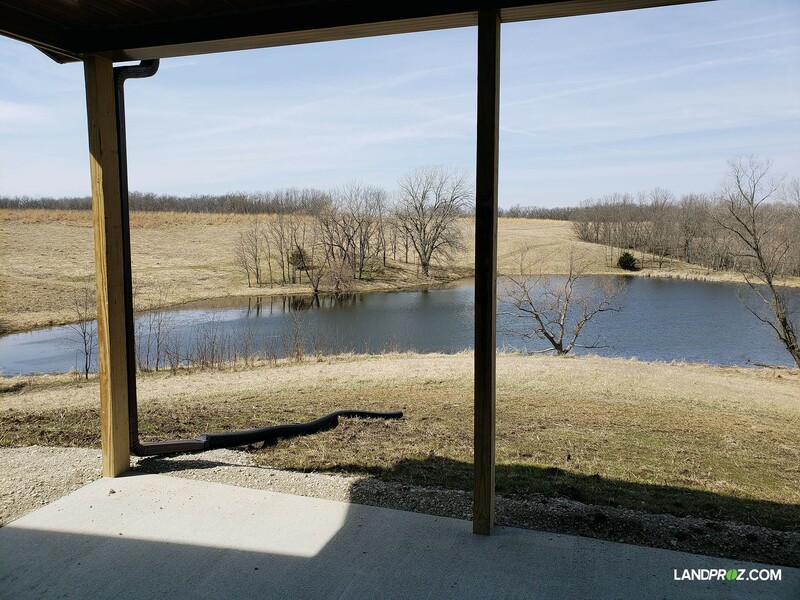 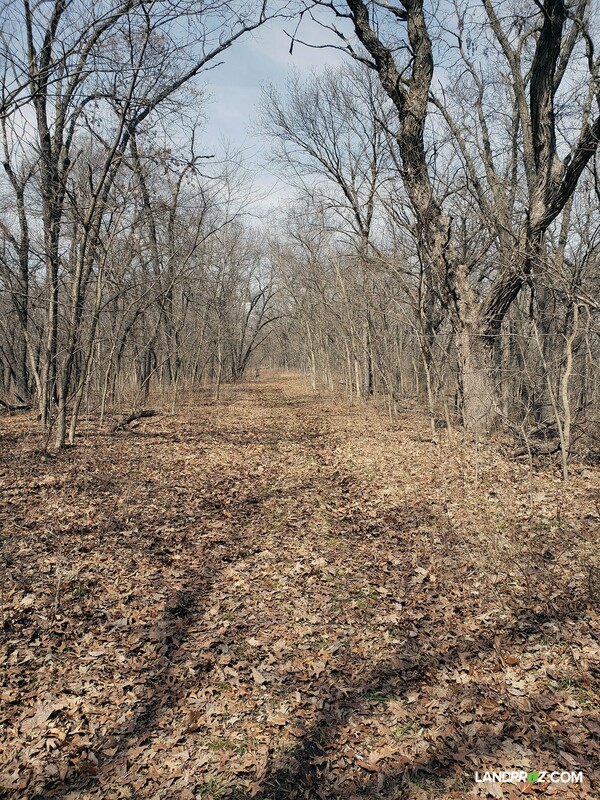 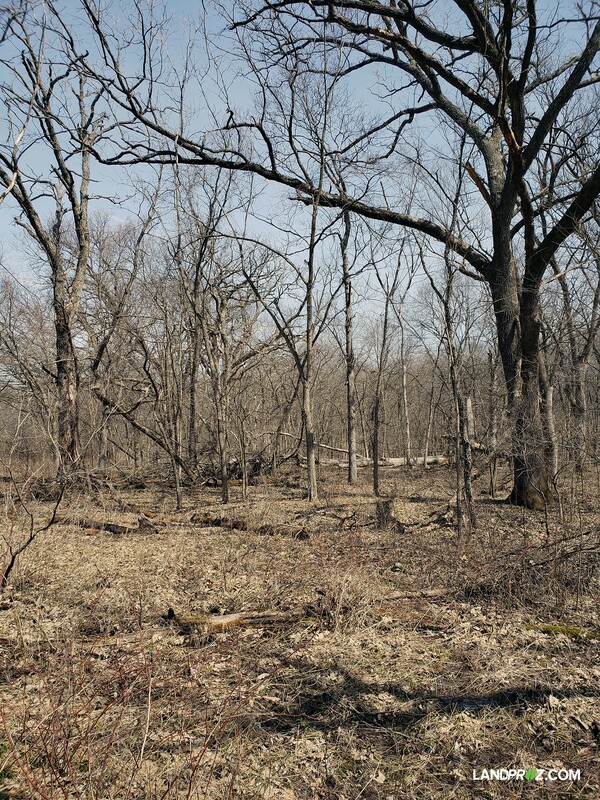 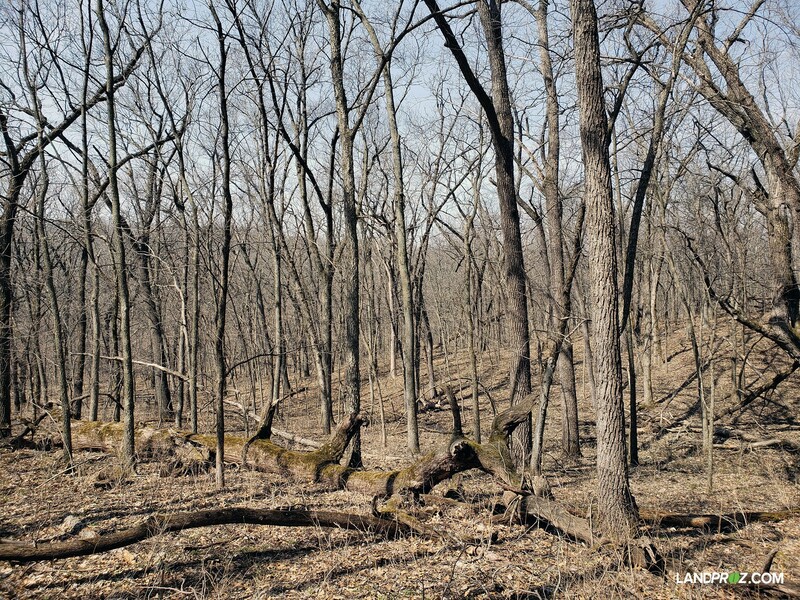 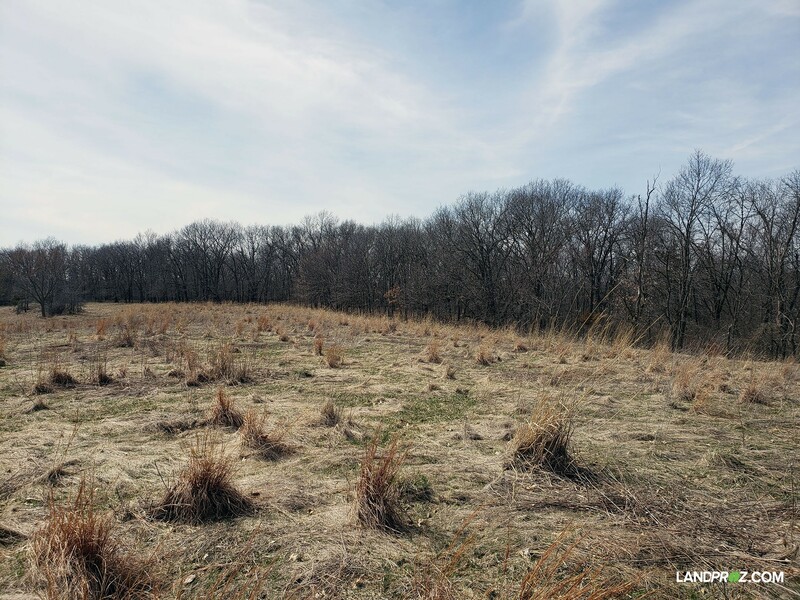 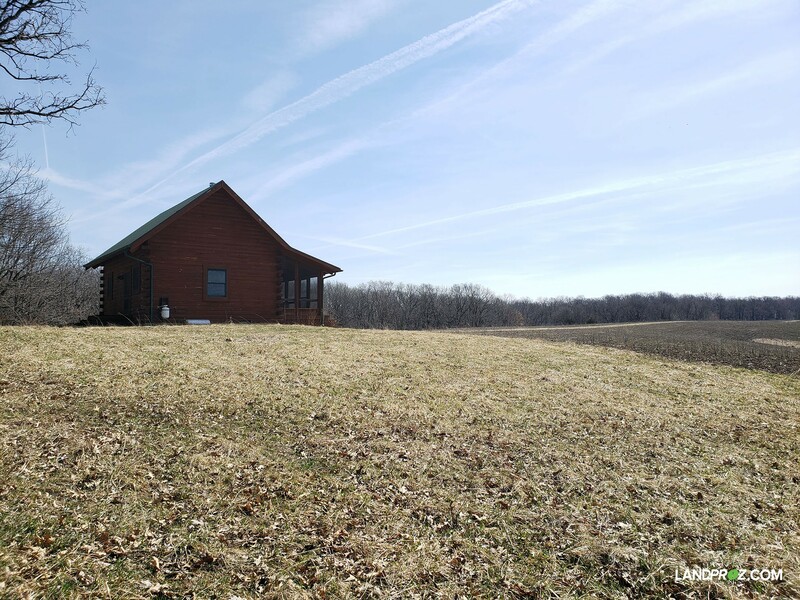 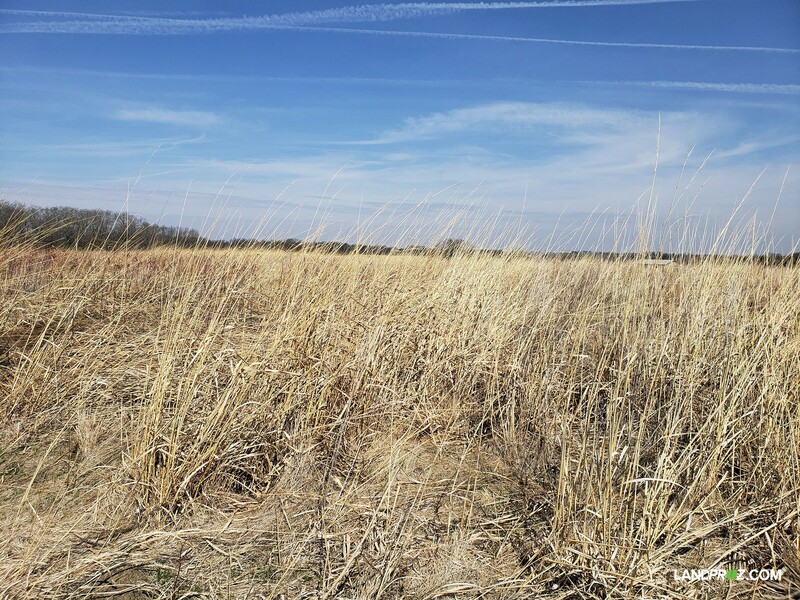 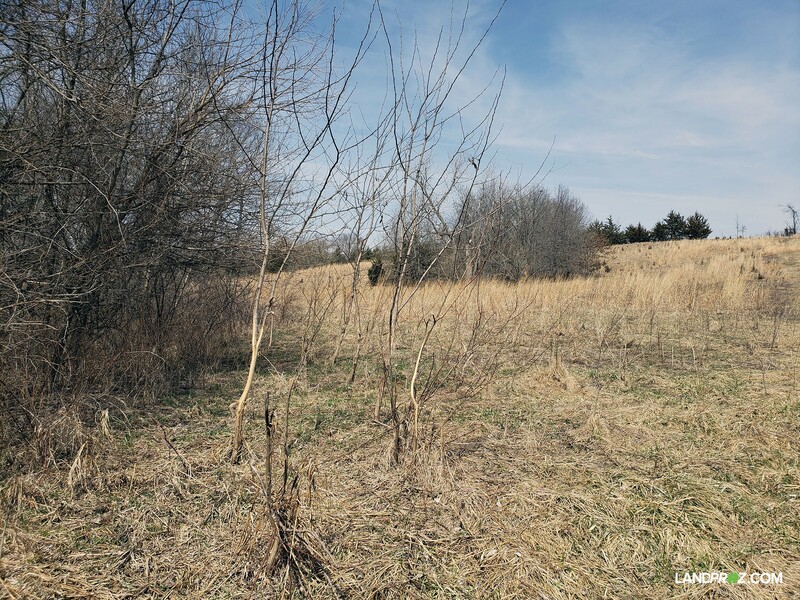 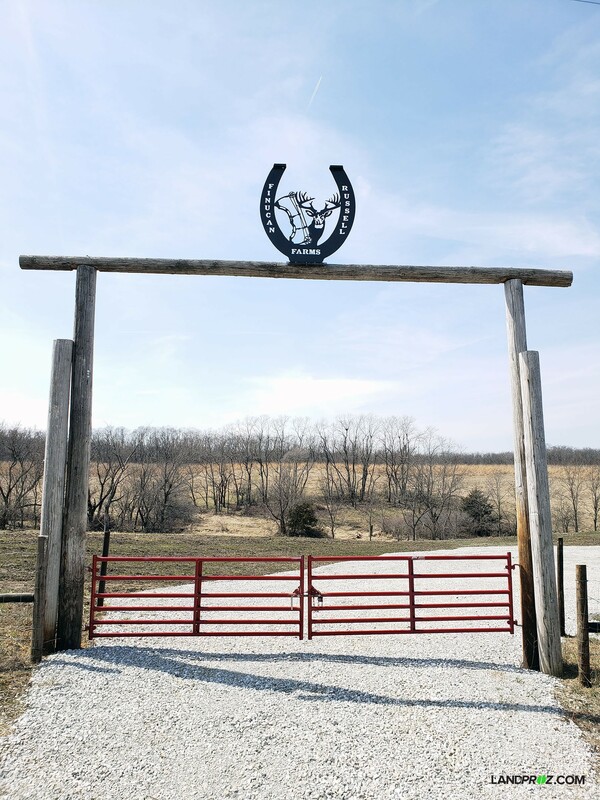 This 640-acre tract nestled in Lucas County IA is a hunter’s paradise. 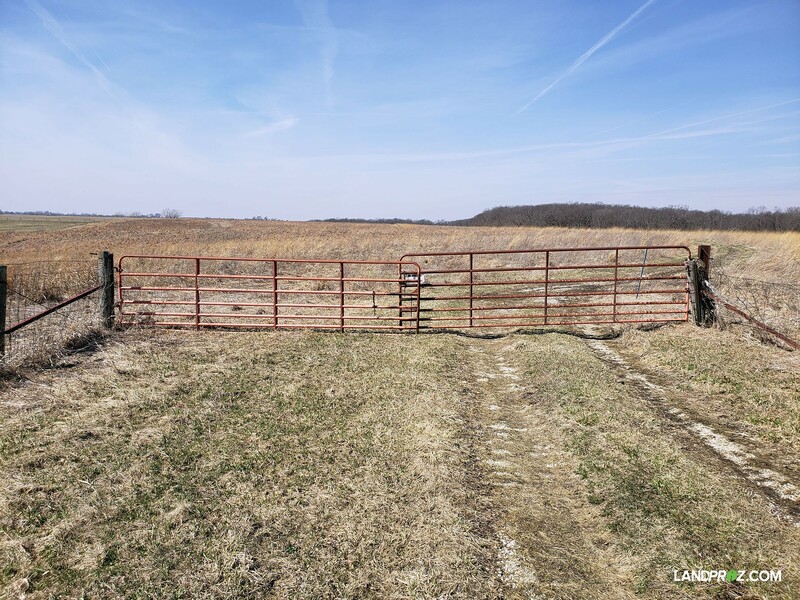 Located in the NW corner of Lucas county close to the Warren county line. 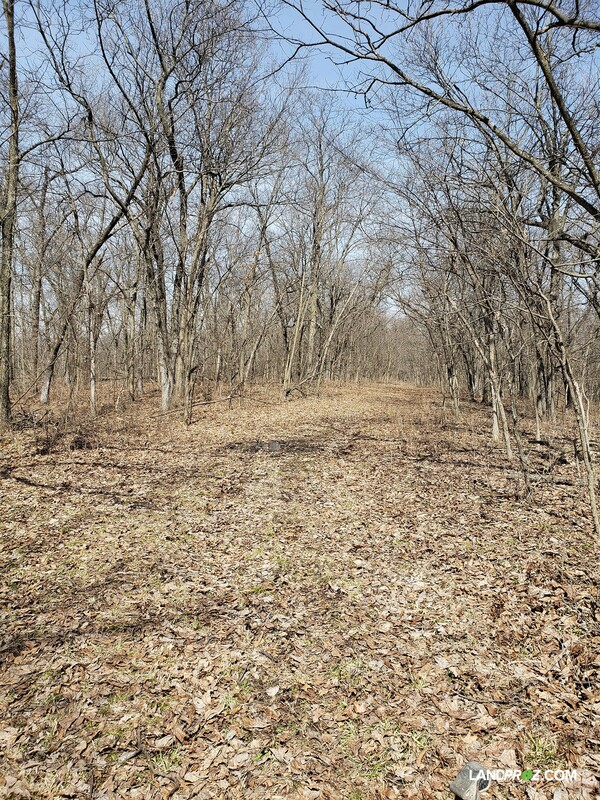 Property has a very high abundance of wildlife including deer and turkeys. 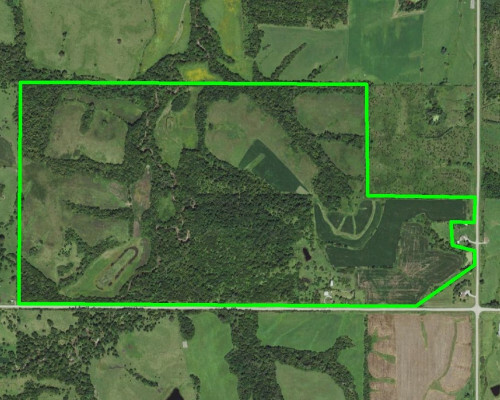 Tracts of this size are very hard to put together and don’t see an open market very often. 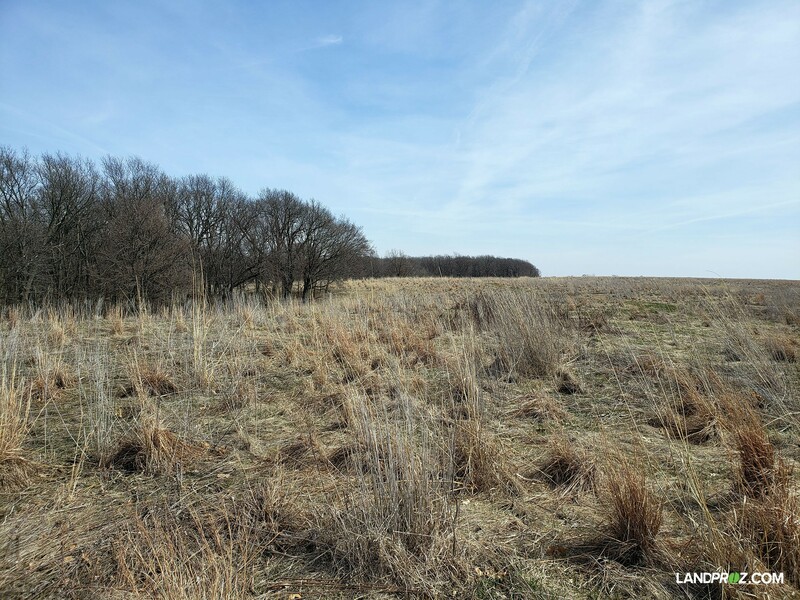 The shear beauty of this tract of land is not something you see every day. 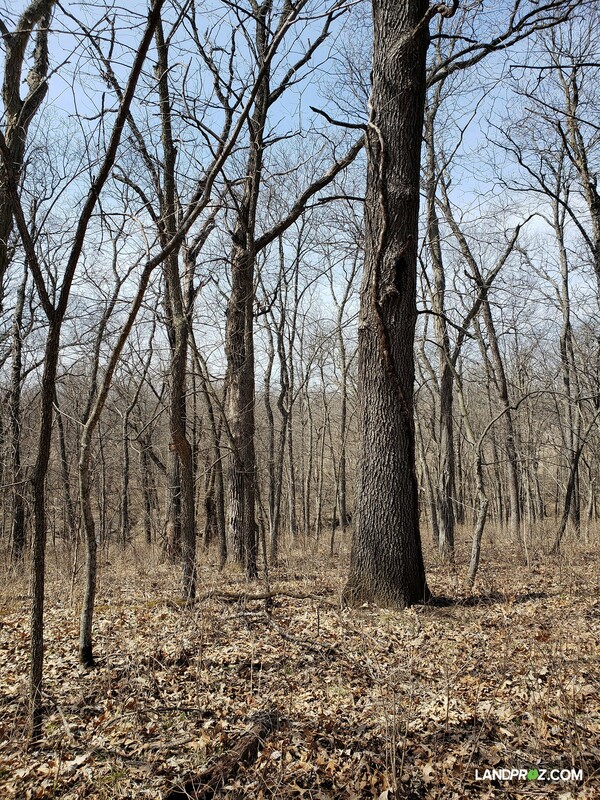 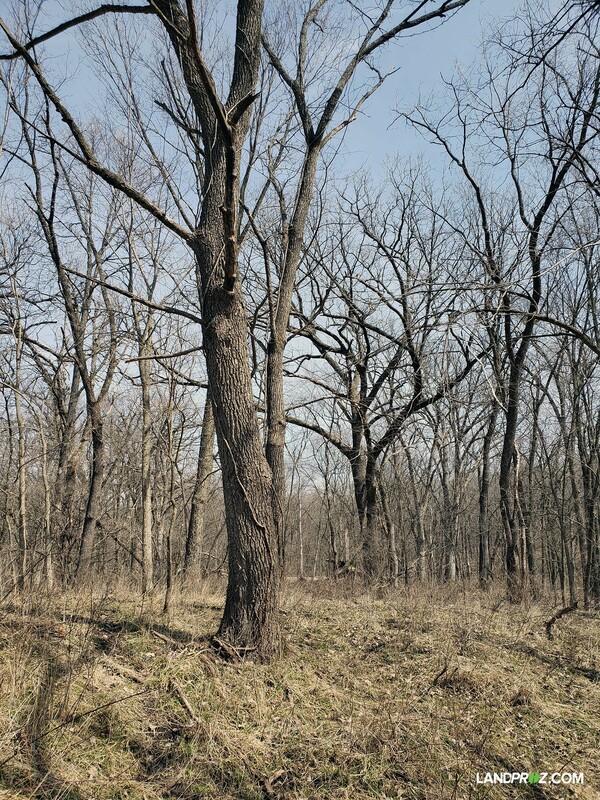 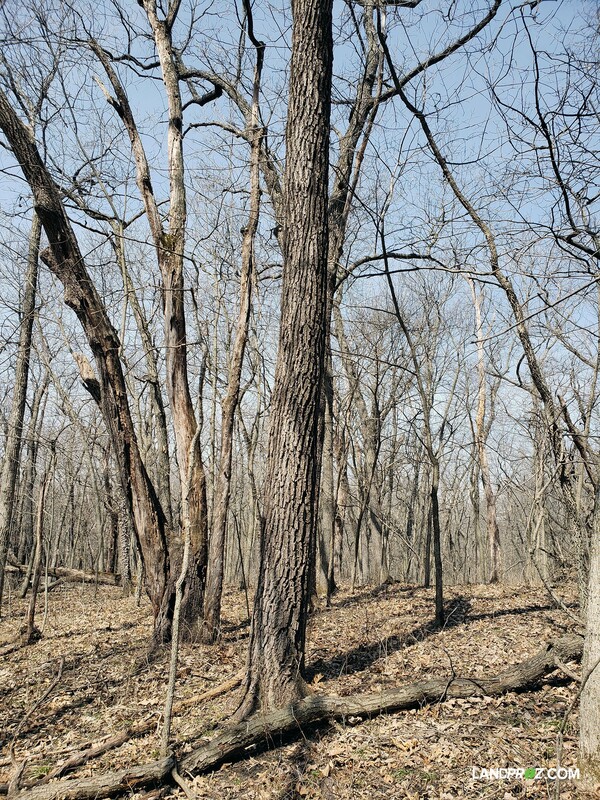 The property consists of over 350 acres of virgin timber with a high number of valuable walnut trees. 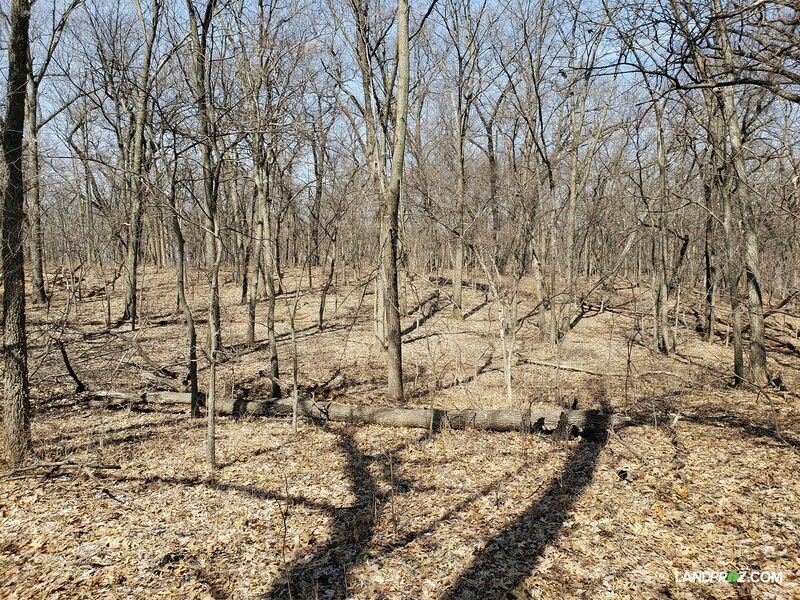 Around the mature timber is the perfect amount of tillable, CRP, ditches, draws and cedar bedding areas. 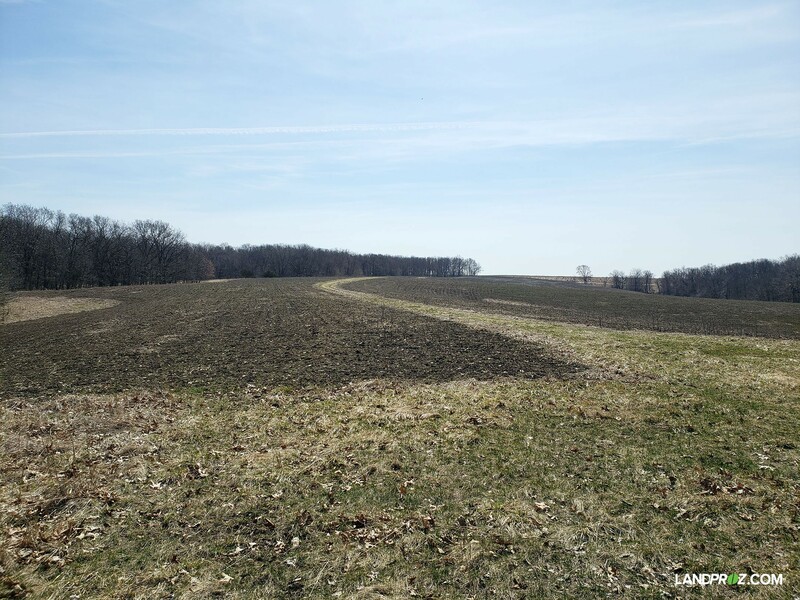 Numerous rolling east-west ridges provide exceptional south slopes for annual bedding. 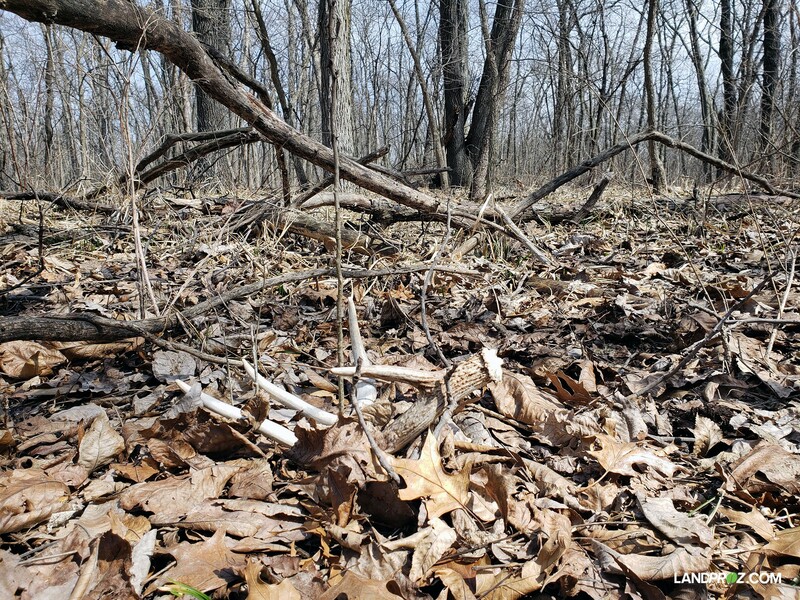 The lay out of the terrain gives the hunter a plentiful amount of options for stand sites and creates multiple pinches and funnels throughout. 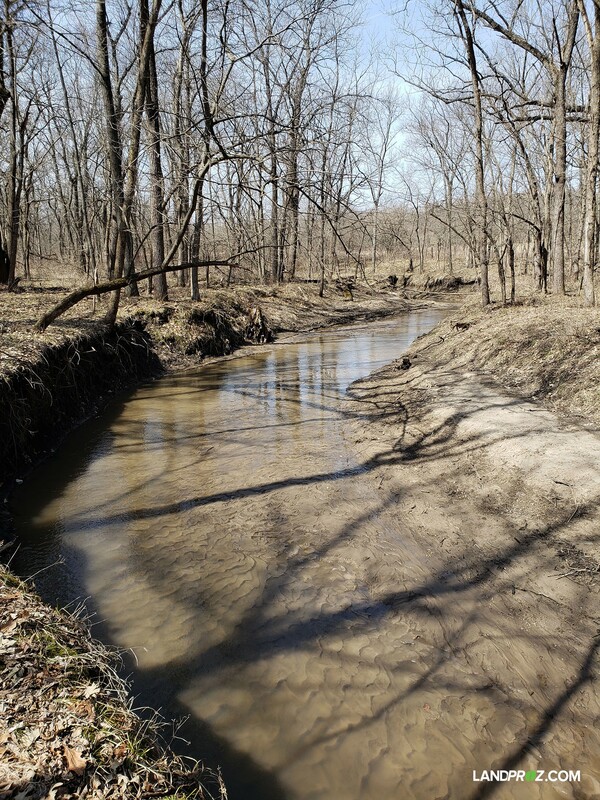 Indian Creek runs through the property creating a natural travel corridor. 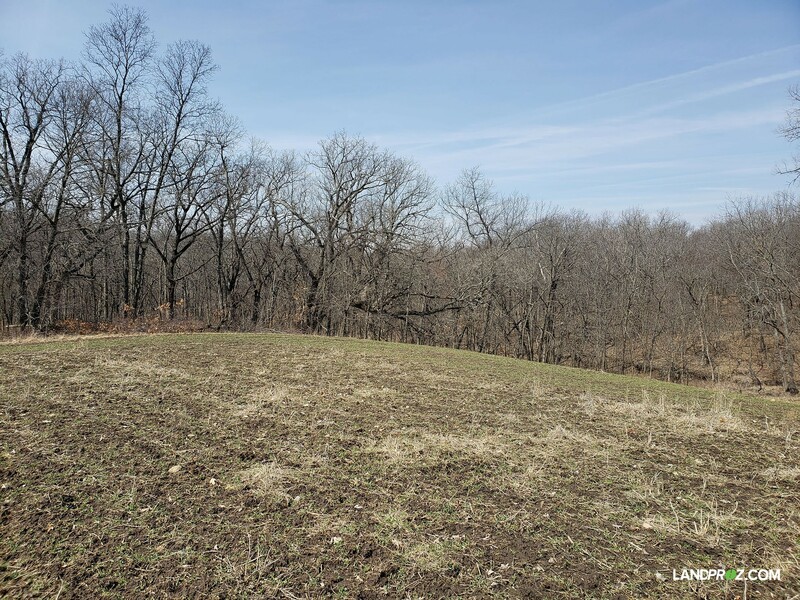 Variety of food plots for both early and late season hunting with established and maintained trail systems to and from. 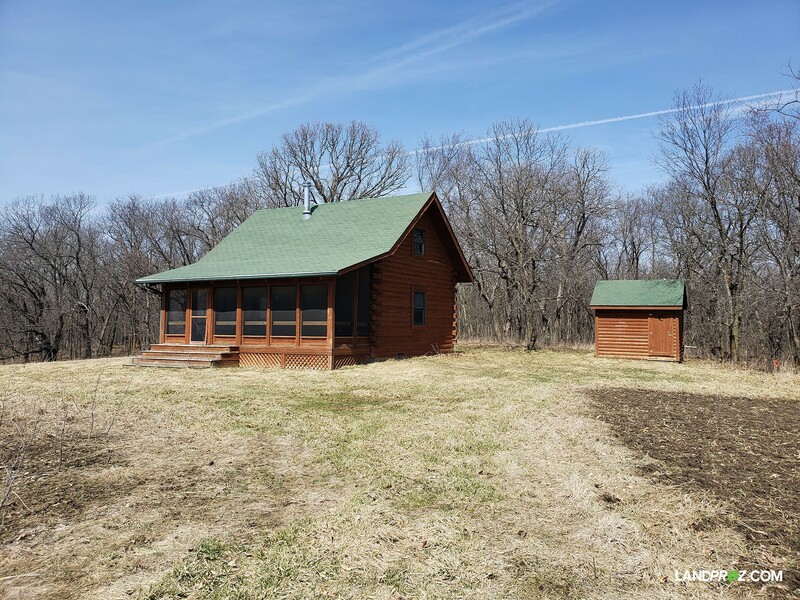 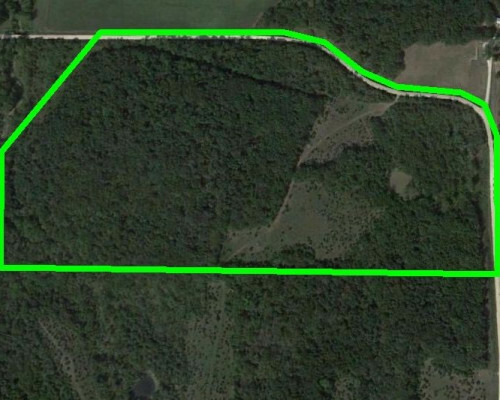 One of the main food plots on the property that exceeds 15 acres has a 26’ by 20’ hunting cabin on it with 520 finished square feet. 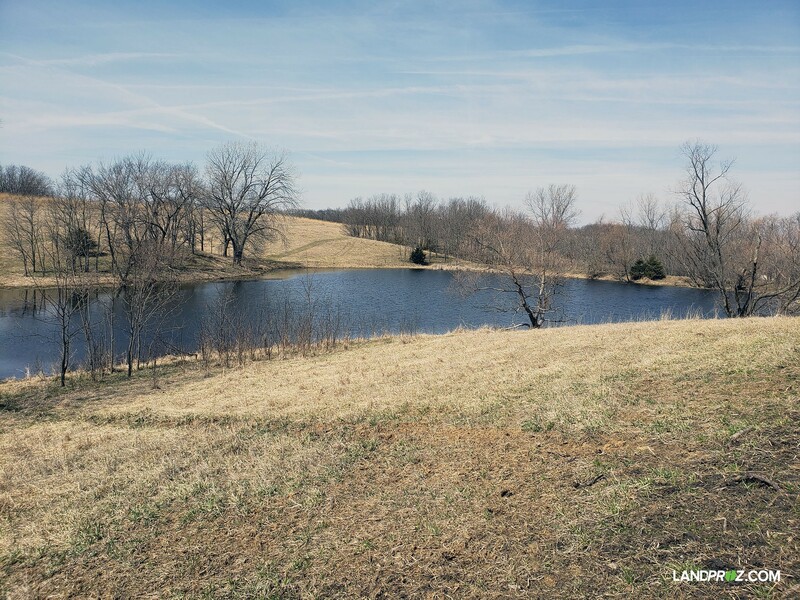 Several water sources from creek and stocked ponds. 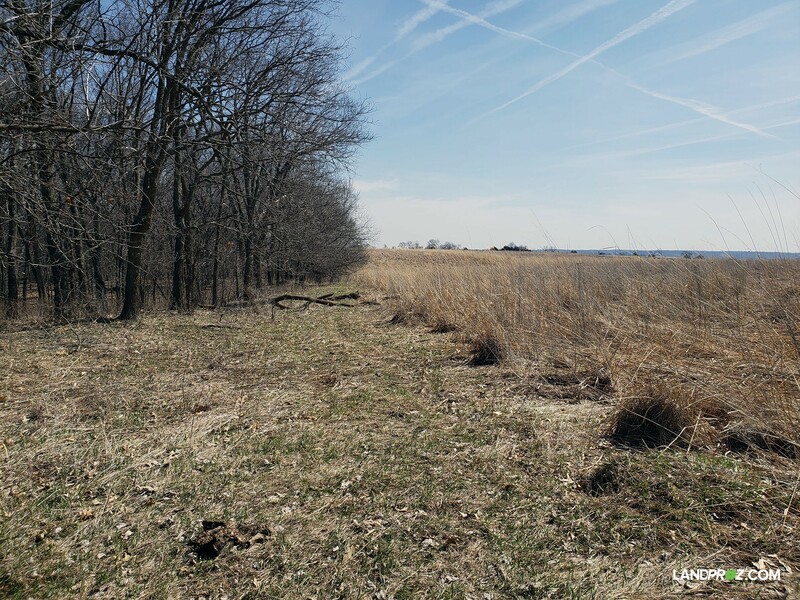 This area is known for stellar genetics and has produced multiple 180’’ deer in this area over the past several seasons. 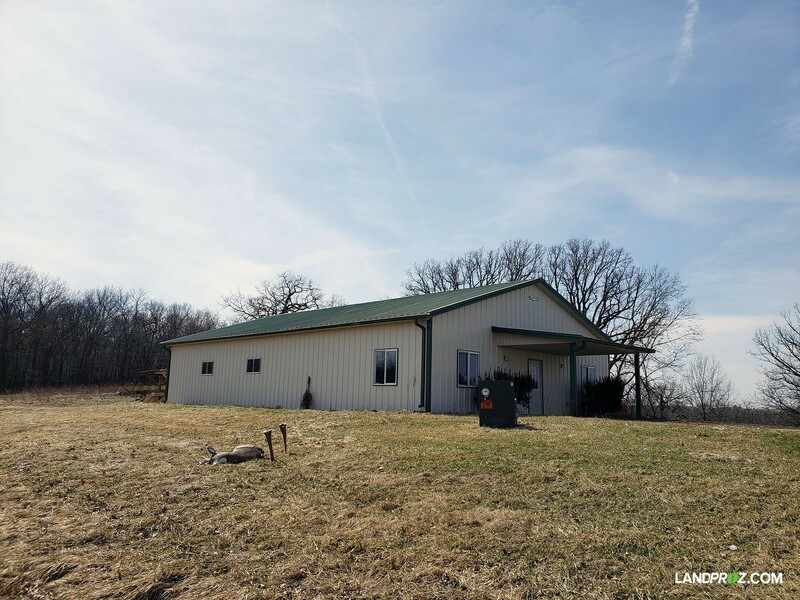 On the south end of the property a newly built 40’ by 60’ metal building with over 800 finished square feet of living quarters in it. 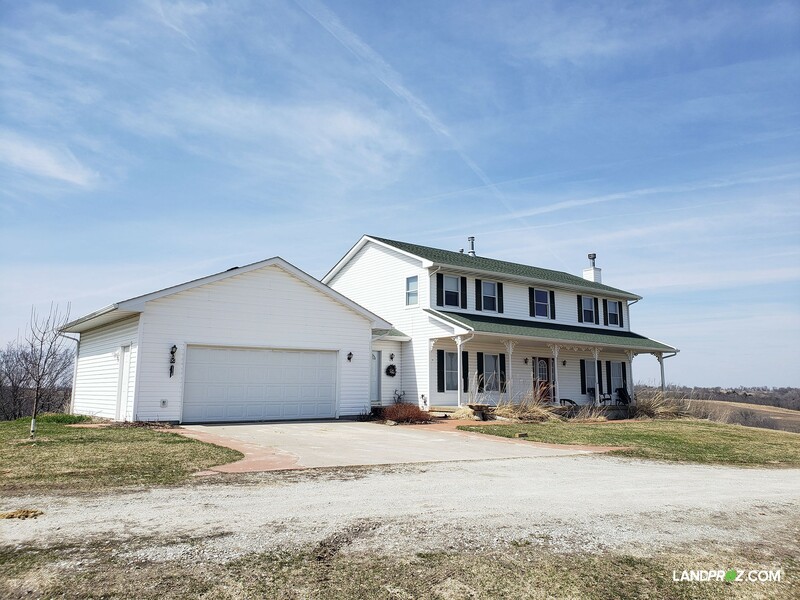 Located on the north end of property there is a gorgeous two-story home built in 2000 with over 2400 finished square feet. 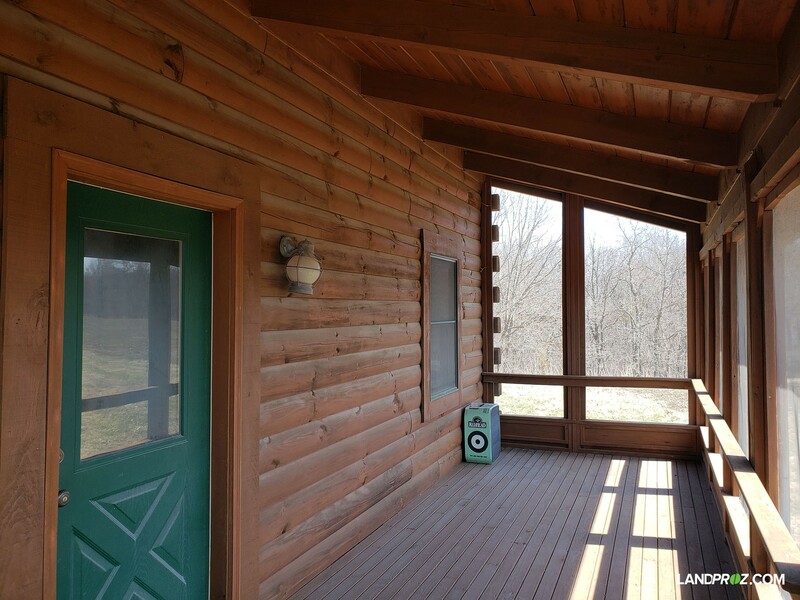 This home, located on top of a hill, has one of the best views Lucas county has to offer. 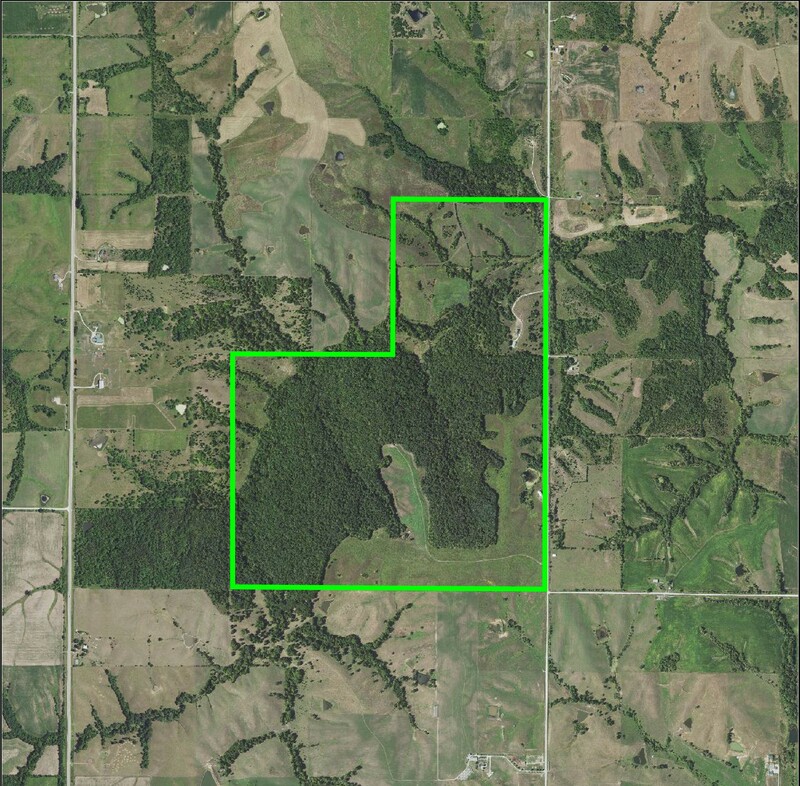 Seller would consider splitting this tract at their discretion. 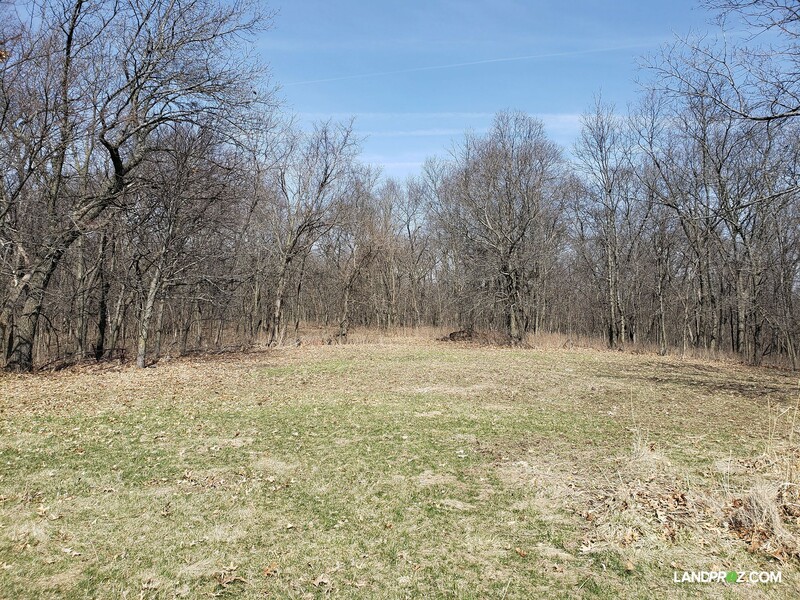 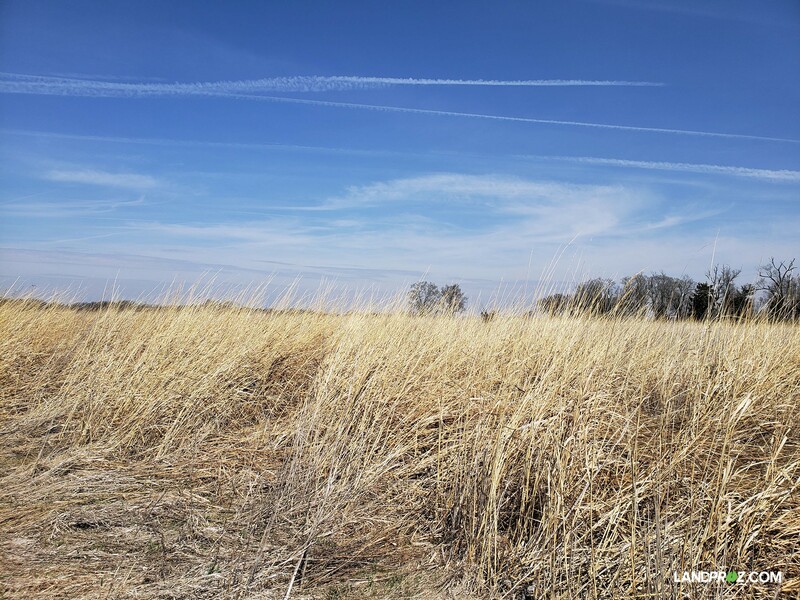 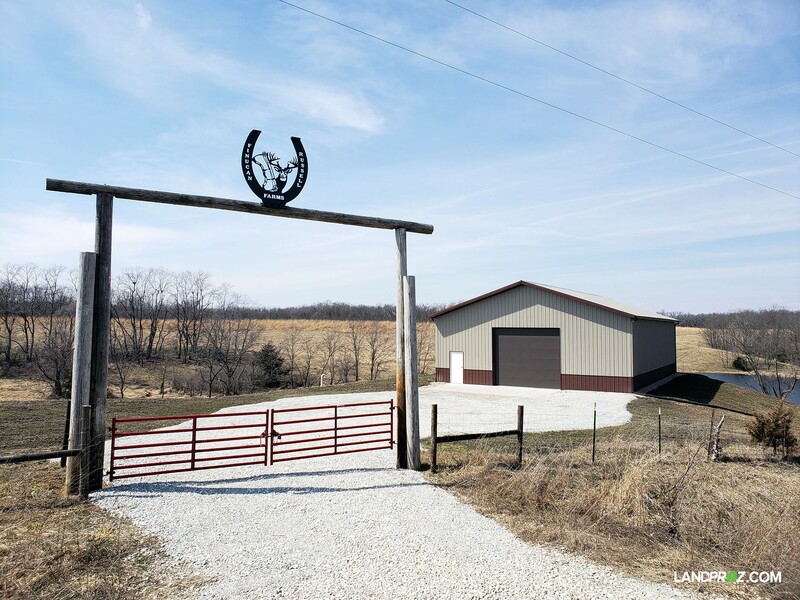 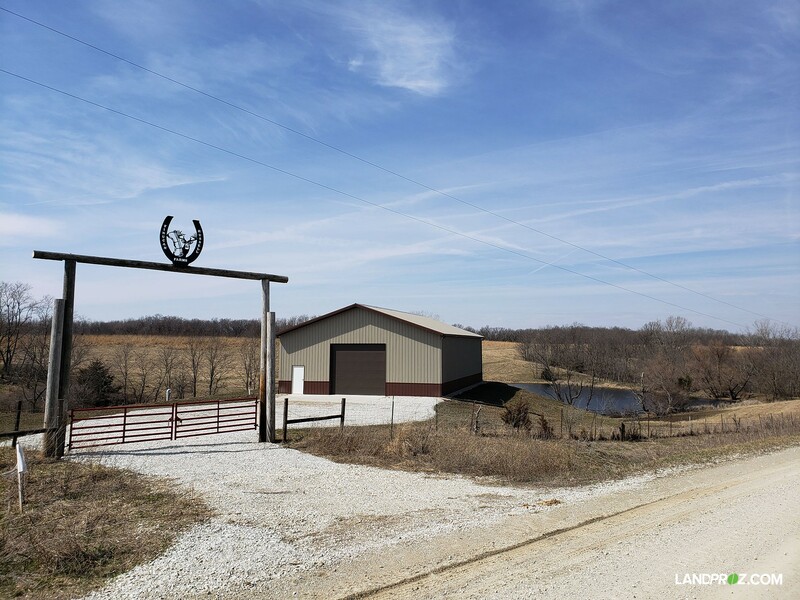 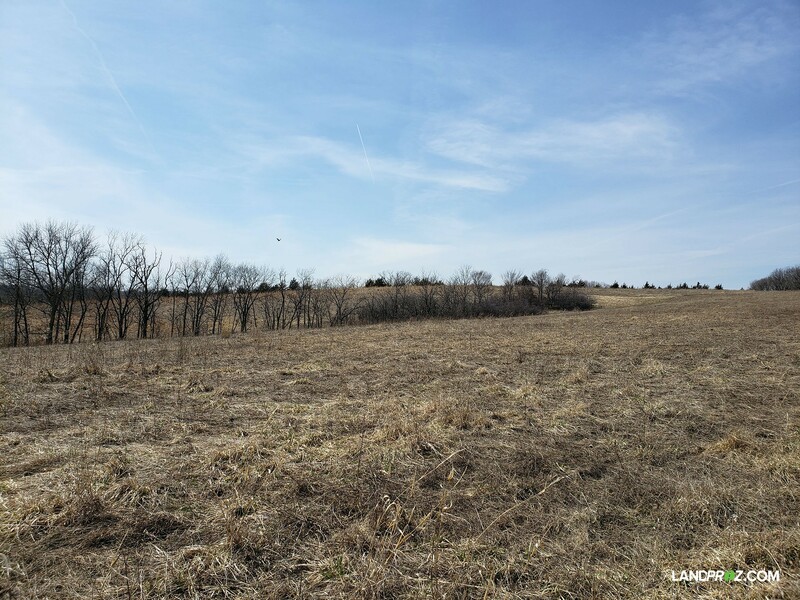 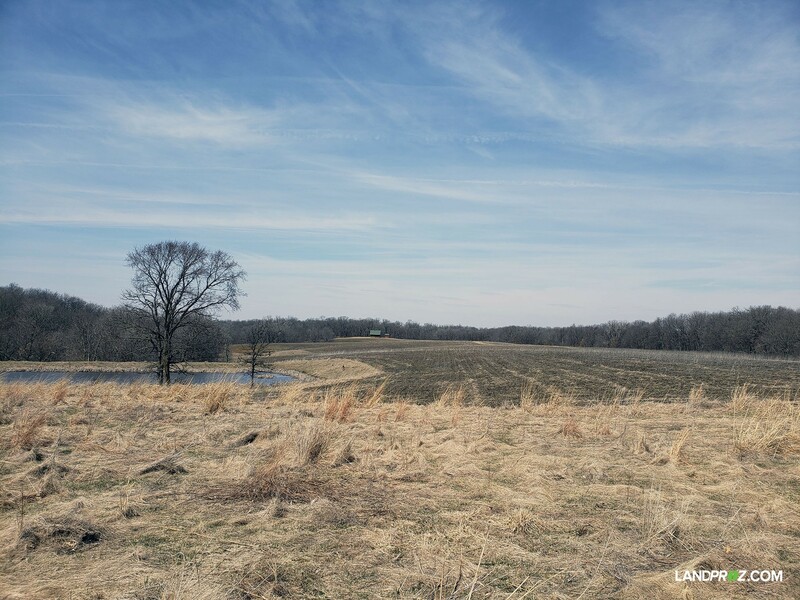 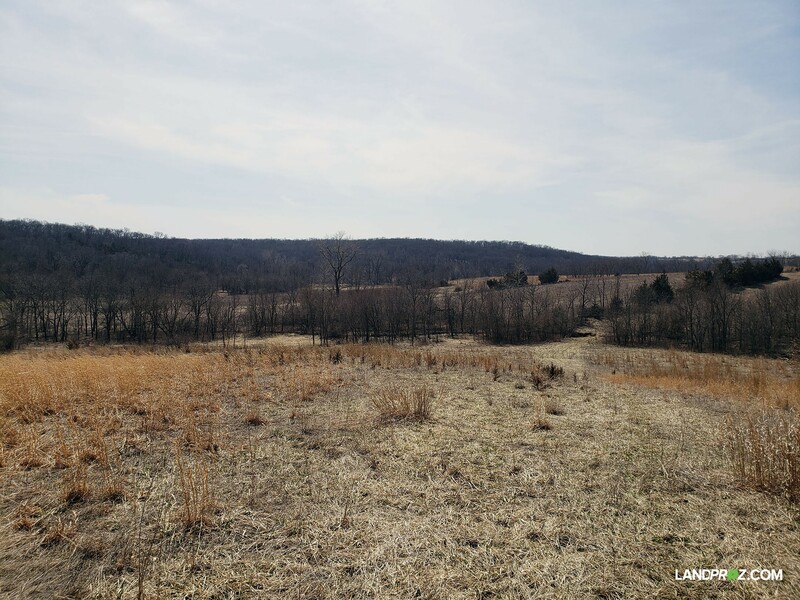 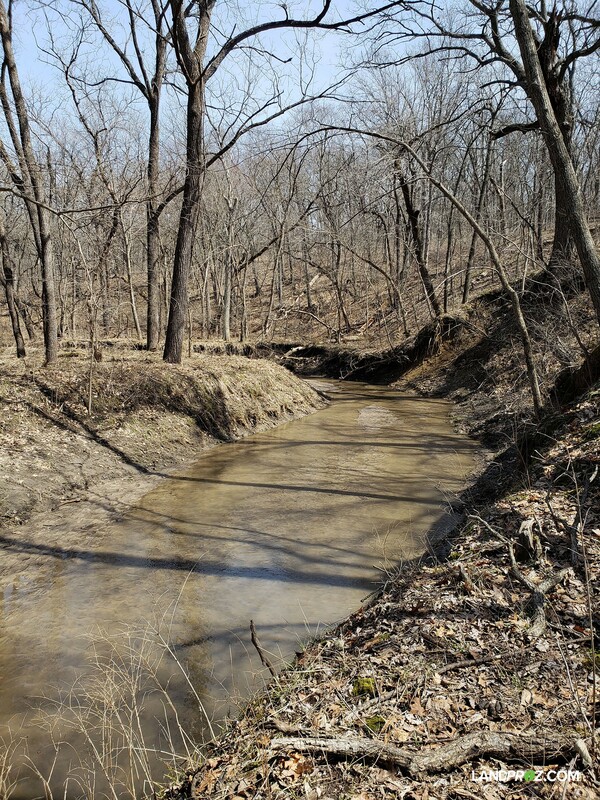 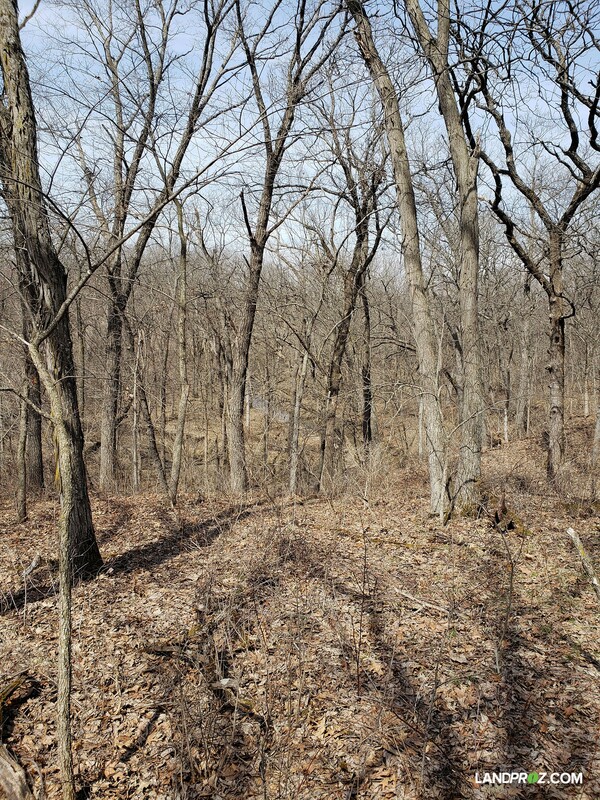 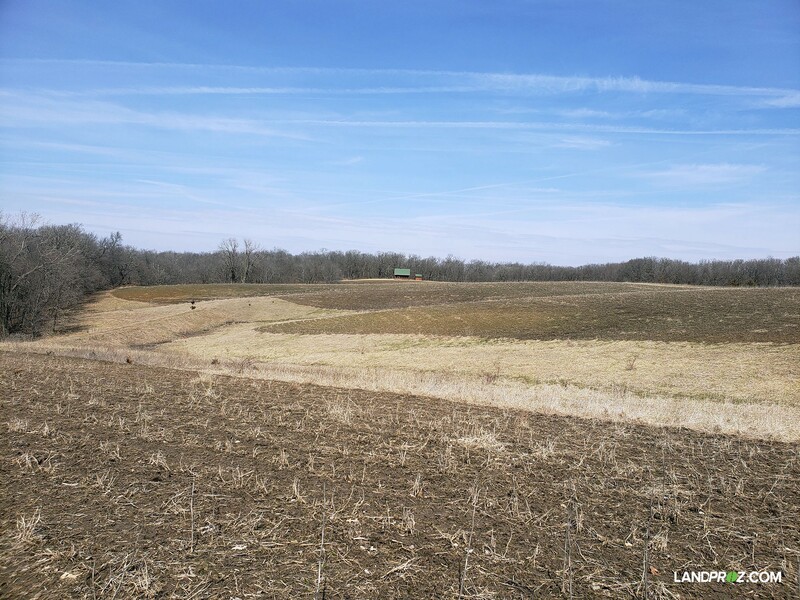 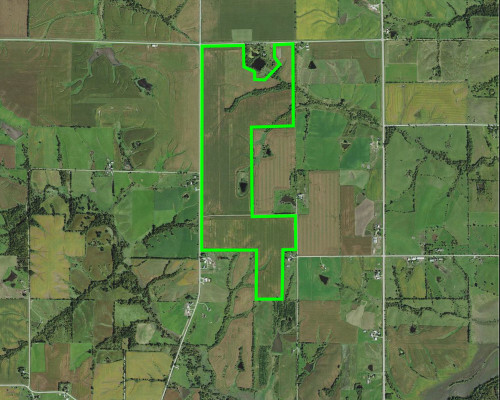 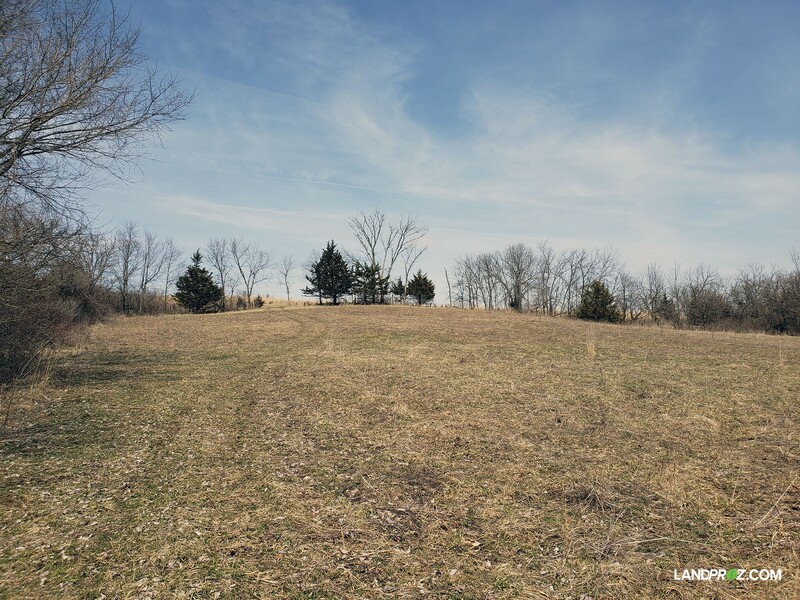 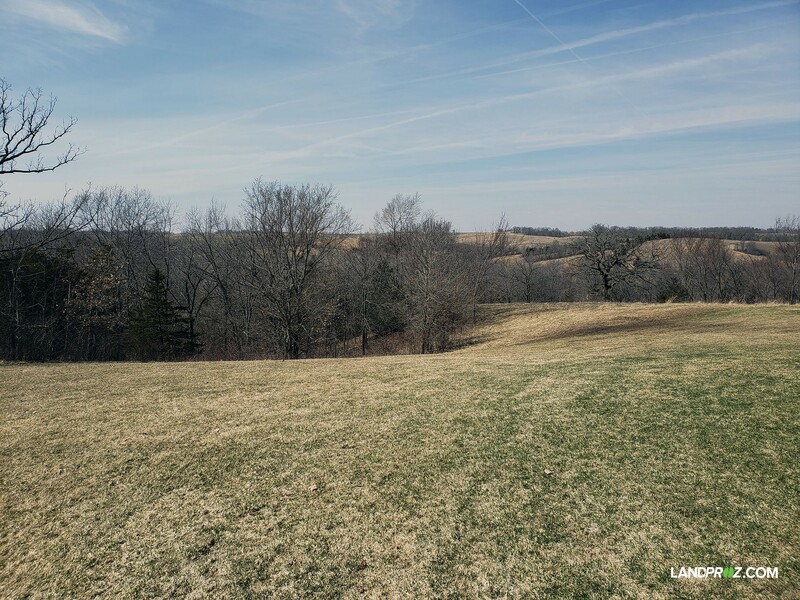 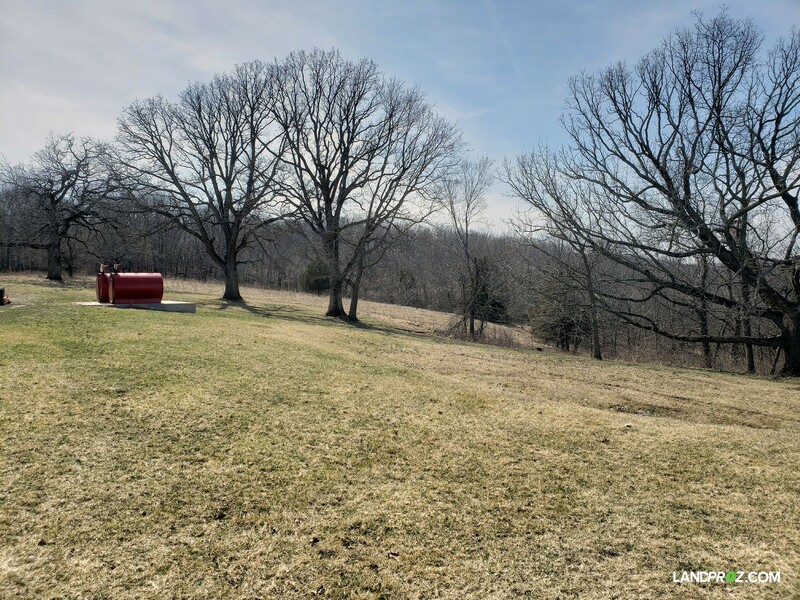 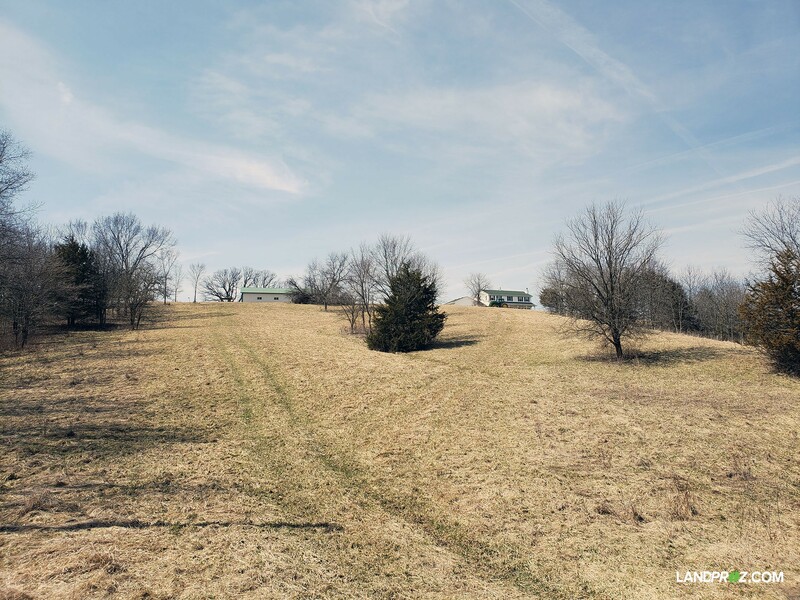 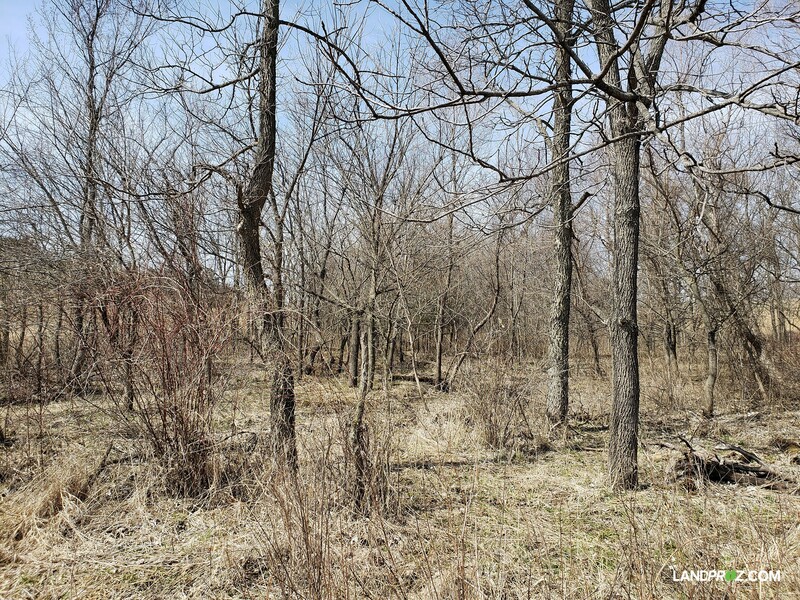 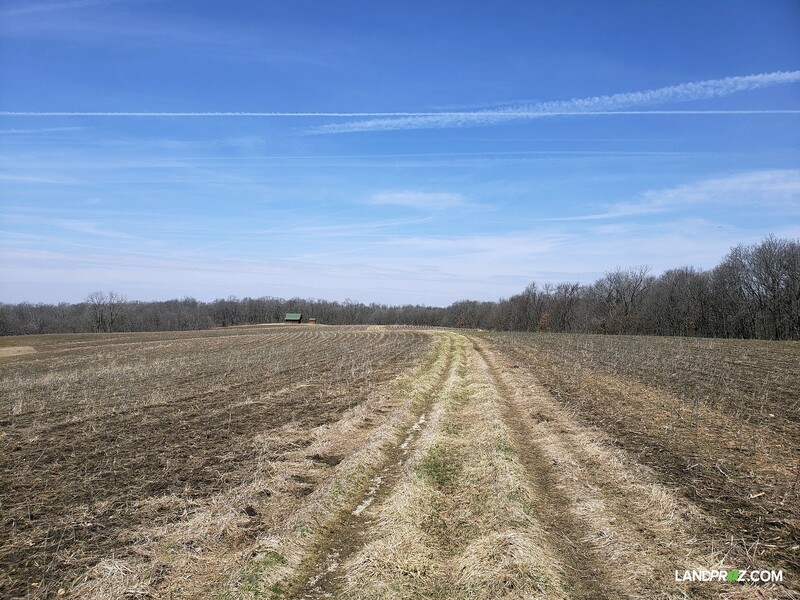 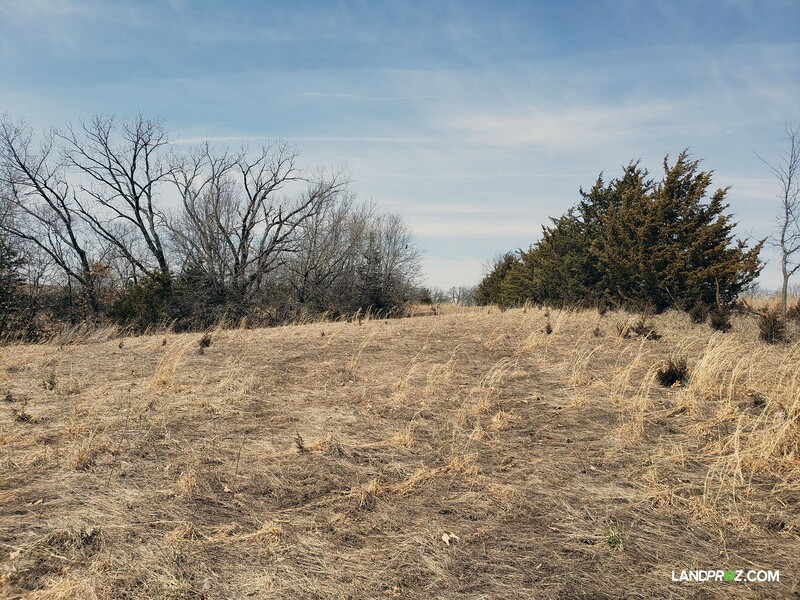 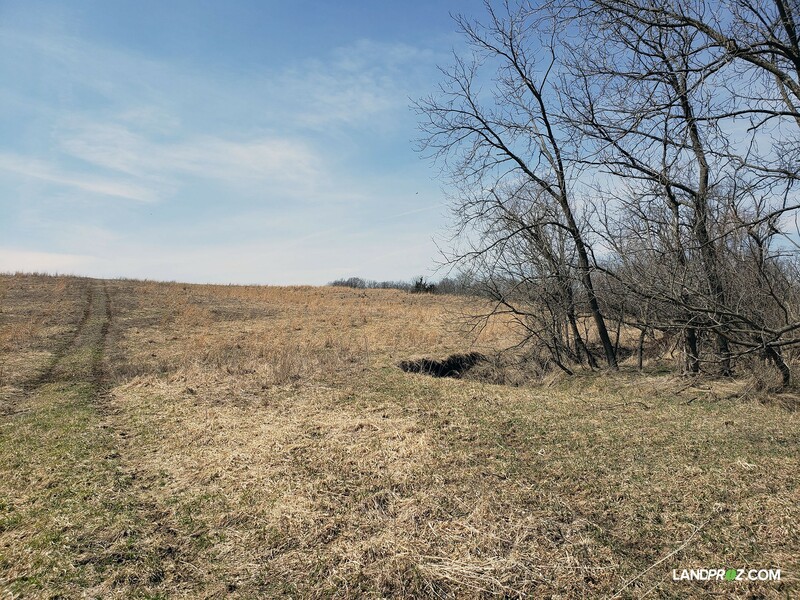 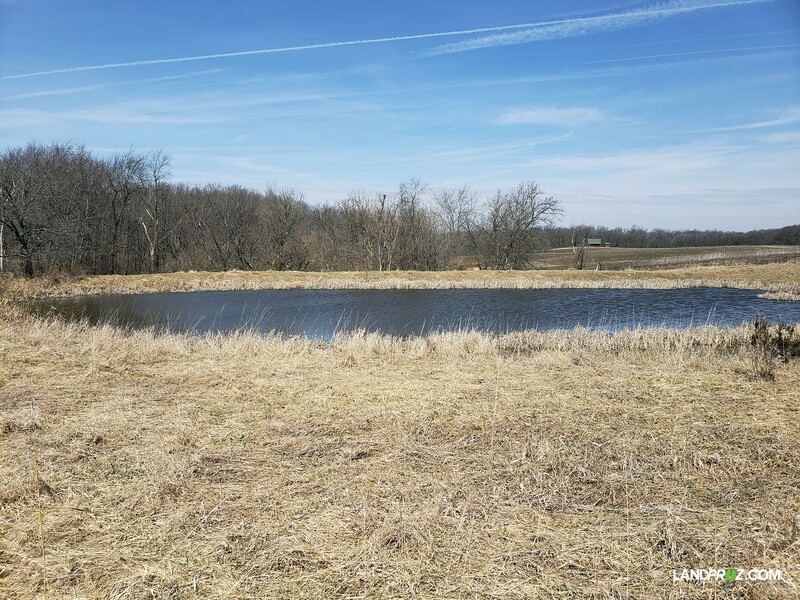 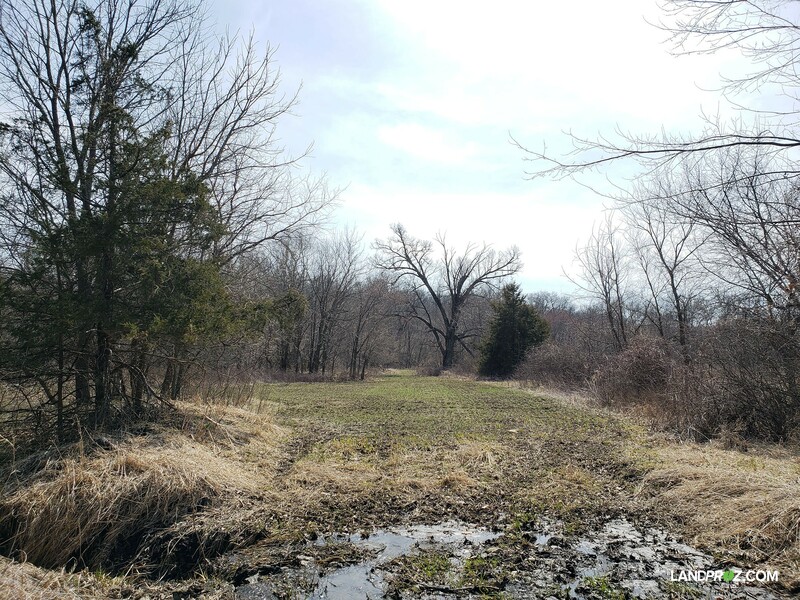 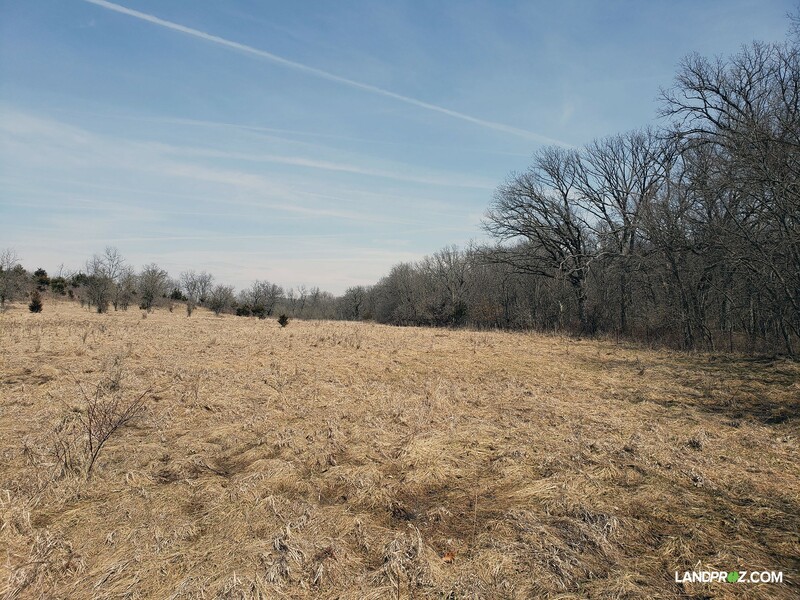 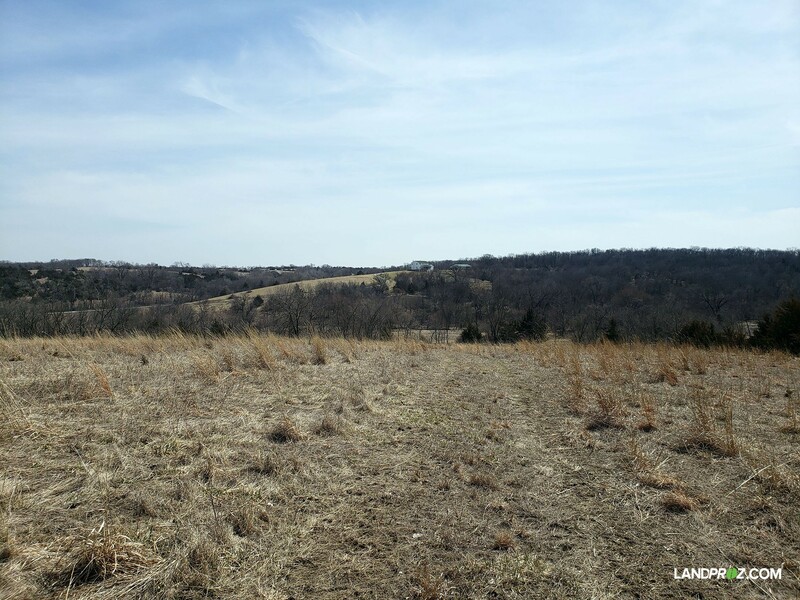 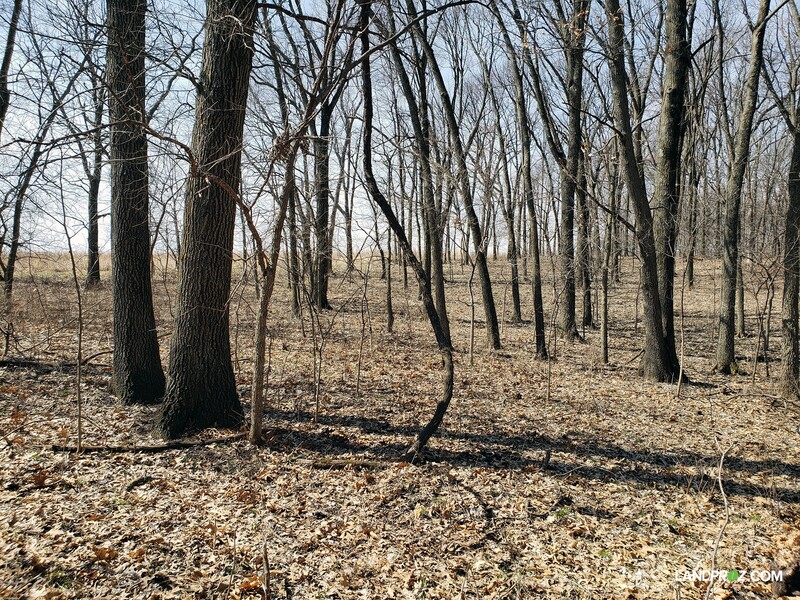 If you’re in the market for a large tract of land that is truly a once in lifetime opportunity, then contact Landproz Broker Glen Salow at 515.494.5560 for more information. 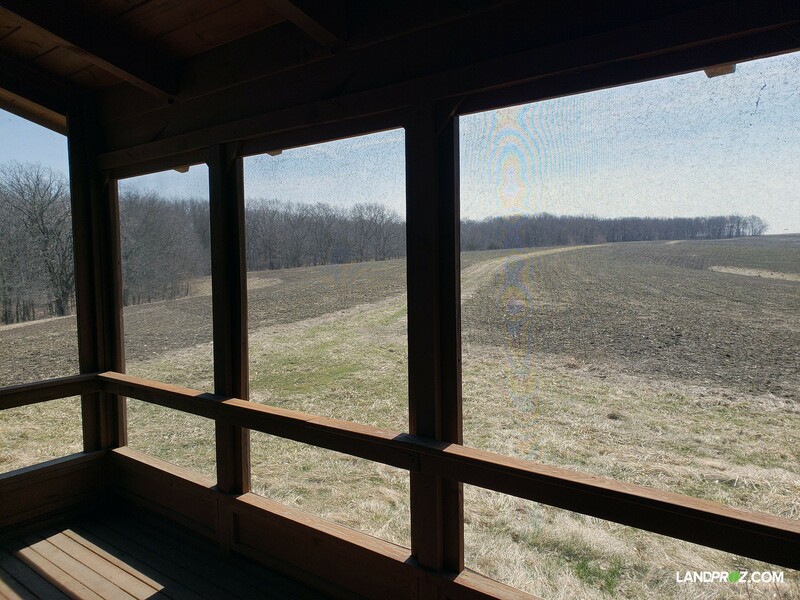 • A beautiful two-story home sits on top of the hill on the north end, offering one of the best views Lucas county has to offer. 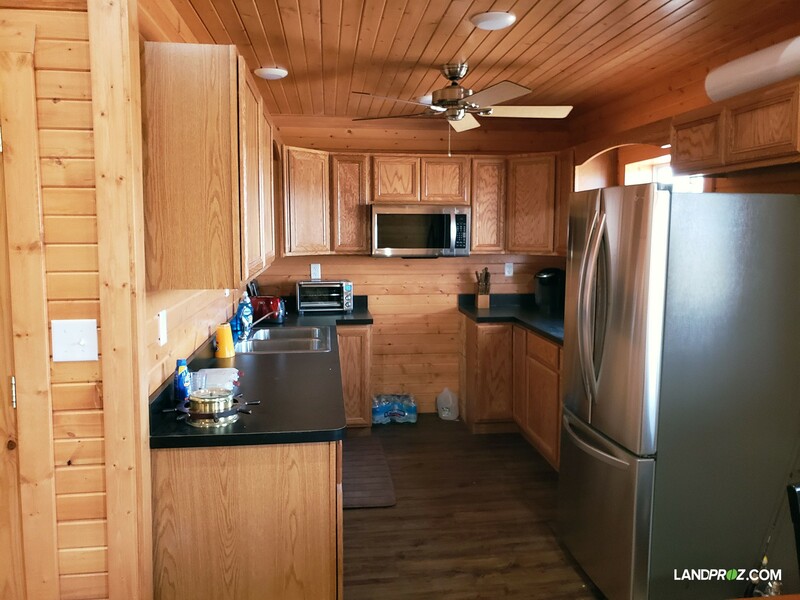 • Home was built in 2000 with over 2400 finished square feet and has 3 full baths, 5 bedrooms, full kitchen, dining, finished basement and a 2-car garage. 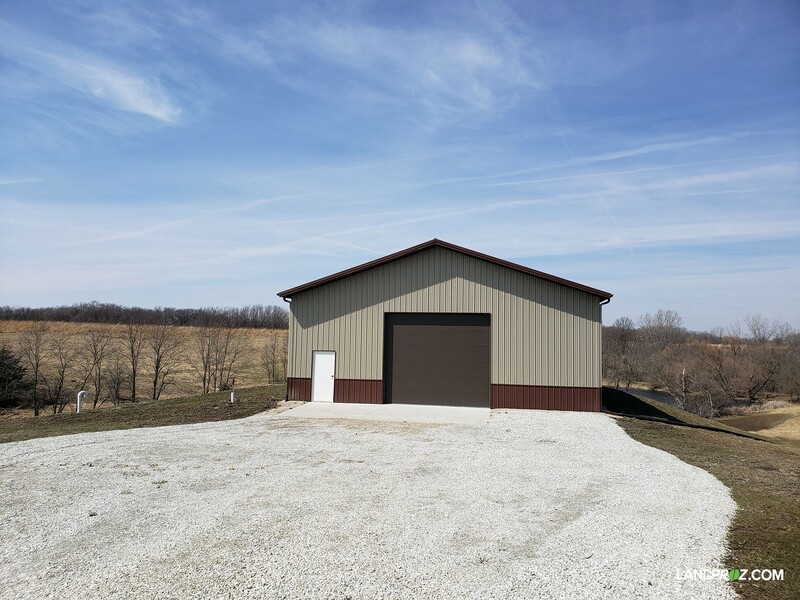 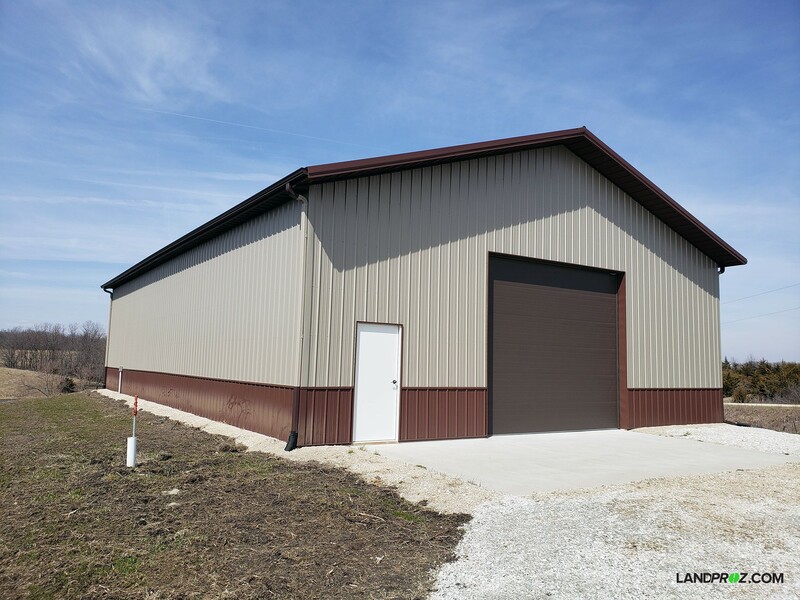 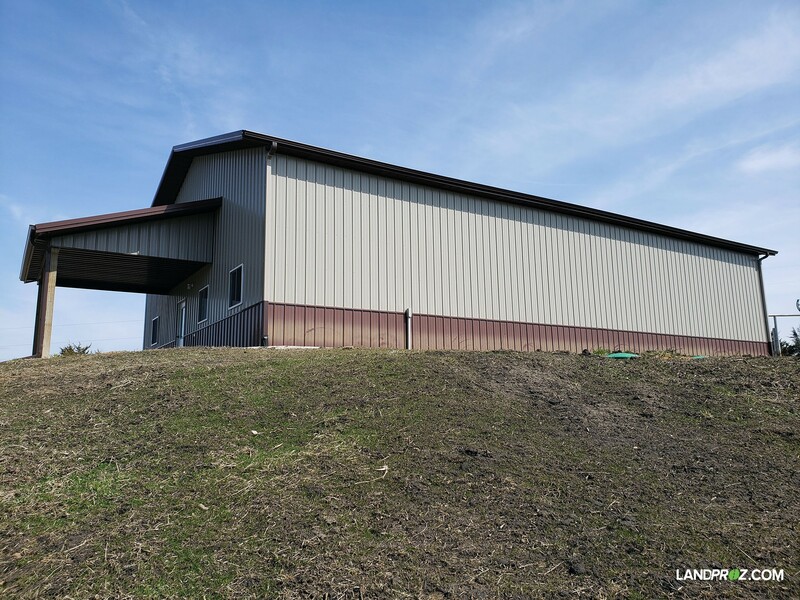 • Nestled beside the house is a 40’ by 60’ metal building with concrete floors and power built in 1999. 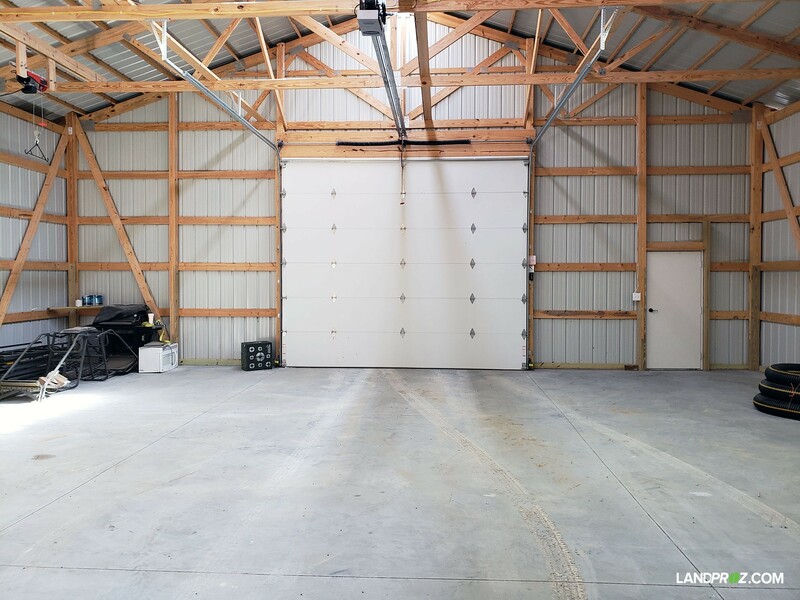 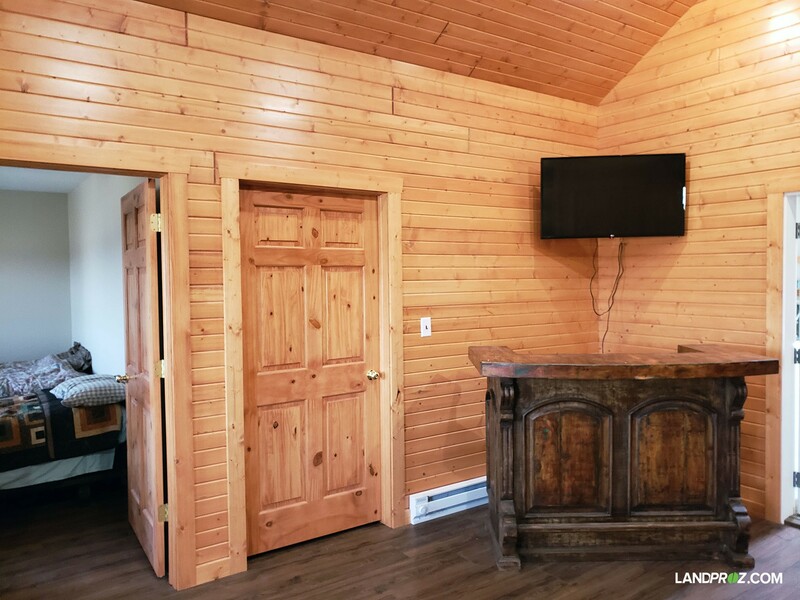 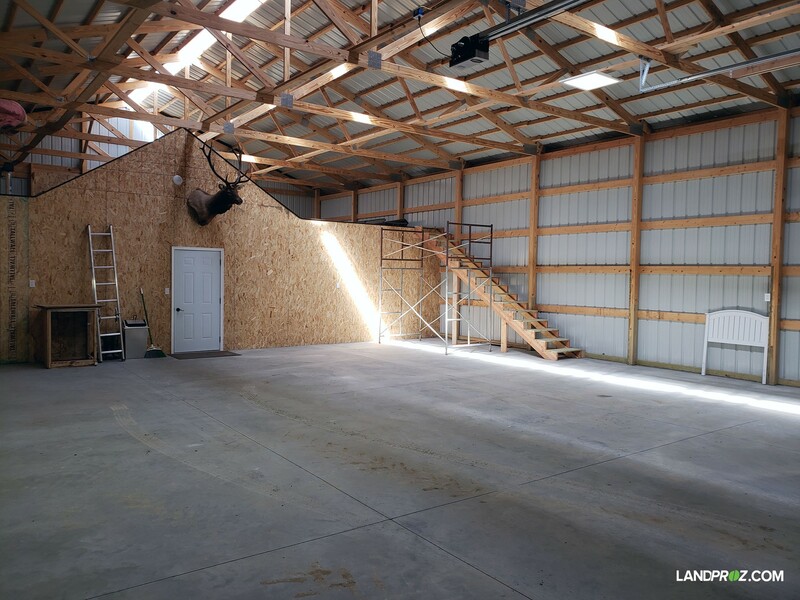 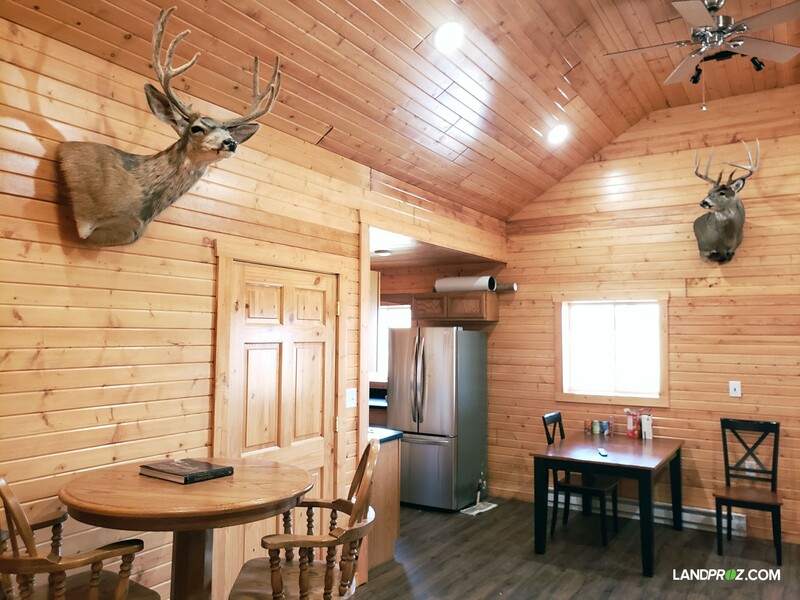 • Building has power overhead doors, concrete floors, and 800 finished square foot living quarters with 2 bedrooms, one full bath and a kitchen.